It is clear that some parts of the world are in the throes of a desperate opioid crisis. Oxycontin is a big part of the problem. As a prescription painkiller, Oxycontin can be very helpful to people suffering from moderate to severe pain. But used improperly, long-term Oxycontin use can lead to dependence and eventual addiction. Please do not take any chances with this medication. If there is any chance you are abusing it, please contact us for help. 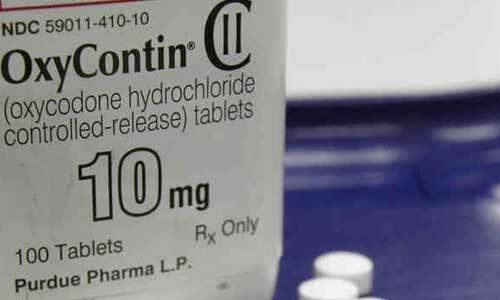 Oxycontin is a brand name for a generic drug known as oxycodone. It is semi-synthetic opioid derived from an alkaloid known as thebaine. Thebaine is one of many alkaloids found in the opium poppy. Oxycodone was first synthesised by German scientists in 1917. It was developed in hopes of improving the effectiveness of opioids as painkillers. One of the primary benefits of the drug is that it is 50% more potent than morphine, making it ideal as a drug that can be combined with non-addictive analgesics for management of moderate to severe pain. Patients given Oxycontin prescriptions by their doctors are making use of a well-documented painkiller for better management of pain. As long as said patients follow their doctors’ instructions to the letter, there should be no long-term problems associated with the drug. But when Oxycontin is used outside of the boundaries of a prescription and its orders, trouble can follow. Oxycontin abuse and addiction are growing problems in several regions of the world. Here in the UK, there is no shortage of patients who start out with a legitimate prescription only to begin abusing the drug over time. There are others who obtain Oxycontin for recreational use without ever getting a doctor’s prescription. Both forms of abuse are equally risky. Both can lead to tolerance, dependence, and addiction. The causes of Oxycontin abuse are still being researched. Meanwhile, treatment providers are offering abusers and addicts help by way of medical treatments and counselling services made available through the NHS, private drug rehab clinics, and charities. The common prescription usage here in the UK involves administering the drug either by intramuscular injection or IV. It can be taken orally as a tablet or crushed and inhaled as well. Some abusers crush the tablets and mix them with water before injecting the mixture. Oxycontin is similar to other opioids in that it produces euphoric effects in addition to pain relief. Users tend to feel very relaxed and carefree while the drug remains active in their systems. In terms of its pain-relieving properties, the drug works the same way as other opioids. It binds to and activates opioid receptors in the brain and spinal column, thereby blocking pain signals. How Can Oxycontin Be Addictive? The mechanism behind Oxycontin’s effectiveness as a painkiller is the same mechanism that makes the drug highly addictive. Blocking pain signals by binding to and activating opioid receptors produces a cascading set of results as the brain attempts to accommodate the influence. When Oxycontin reaches the brain, it encourages the production of endorphins – brain chemicals classified scientifically as neurotransmitters. Endorphins are responsible for transmitting all sorts of signals throughout the brain and spinal cord in response to stimuli. Some of those endorphins block pain signals. Others create feelings of pleasure. Dopamine is an example of a neurotransmitter in the latter category. It is one of the chief brain chemicals responsible for making us feel good about things. It is the key to understanding how Oxycontin can be addictive. Dopamine is produced in response to Oxycontin reaching the brain. That dopamine then triggers the brain’s reward system to create feelings of pleasure. What happens next is where the challenge of opioid abuse comes in. There is a natural human tendency to want to repeat experiences that create feelings of pleasure. In some people, the pleasurable feelings created by Oxycontin are such that they want to take the drug again, and then again, and so on. In short, Oxycontin can be addictive because it triggers the production and release of dopamine. The more Oxycontin a person takes, the more he or she experiences the pleasurable feelings generated by dopamine. The longer Oxycontin use continues, the more the person relishes those pleasurable feelings. Approximately 1 in 30 US high school seniors admits to abusing Oxycontin at least once. Additional statistics about Oxycontin abuse will be discussed later in this guide. In the meantime, the important thing to note is that Oxycontin abuse is a growing problem. According to Guide Doc, Oxycontin is now the most abused prescription drug in the United States. It is catching on here in the UK as well. Our opioid problem may not be severe as what the States are going through – because UK doctors are less likely to prescribe opioids – but we do have a growing problem of recreational abuse thanks to easy accessibility. Oxycontin abusers can buy the drug on the street; they can buy it online via the dark web; they can get it from friends and family members who doctor shop. Opiates and their opioid cousins are prescribed mainly for pain management. Few other medications are as effective for relieving the most severe forms of pain a person can experience. Just as an example, consider the pain you might go through after a serious car crash that results in broken bones and all sorts of internal damage. Recuperating from your accident will involve bed rest and eventual physical therapy. You would likely experience regular bouts of moderate to severe pain as your body heals itself. Oxycontin could aid your recovery by relieving your pain, thus allowing you to work harder during physical therapy. to treat a chronic pain condition. Oxycontin was approved by the European Association in 2014 for palliative care. It is now used as a second-line alternative to morphine. One of the advantages of using it in palliative care is that it tends to have fewer side effects, making it a better choice for some patients who would otherwise be given morphine. Although the drug is prescribed to manage chronic pain, there is some debate over whether it is truly effective for such use over the long term. Unfortunately, dependence on Oxycontin can result in paradoxical pain sensitivity, thus mitigating the pain-relieving effects of the drug after extended use. It is important for society to understand Oxycontin abuse if we are to ever get a handle on the problem. The abuse of any drug is not as simple as it sounds. Abuse can be the result of a number of different factors, and no two Oxycontin abusers are exactly alike. Oxycontin abuse is very personal at every level. One person may begin using Oxycontin as a legitimate prescription only to start abusing the drug out of a desire to enjoy the euphoric feelings it produces. Once the patient's prescription runs out, he or she is forced to find alternative sources of the drug. Abuse may continue until that person eventually becomes addicted. Another person may hear about Oxycontin on the street. Even without a legitimate prescription, that person can easily obtain the drug, using it recreationally in order to escape the troubles of the world. Oxycontin becomes just another drug the person uses to cope. If there is any good news here, it is the fact that Oxycontin abuse does not have to turn into dependence and addiction. Getting treatment early enough can stop the abuse in its tracks – if the abuser is genuinely desirous of change. The other side of that coin is the very real risk of dependence and addiction as a result of a person developing tolerance to Oxycontin. Tolerance, dependence, and addiction are three separate things from a medical standpoint. You would benefit from understanding the terms if there is any chance you or a loved one is abusing Oxycontin. Tolerance – This is a condition in which the brain and central nervous system get used to a certain level of Oxycontin in the system. This condition results in the drug not being as effective as it once was. In order to regain its former effectiveness, the user has to take more Oxycontin. Dependence – This is a condition in which the brain and central nervous system have become so used to Oxycontin that they rely on the drug to do what they used to do without it. For example, some of those endorphins you read about earlier help to naturally regulate pain. A person dependent on oxycodone may no longer possess the same ability to naturally produce those endorphins. The body is relying on Oxycontin to stimulate endorphin production. At this point, it is important to note that there are two kinds of dependence: physical and psychological. Physical dependence is what was described in the previous paragraph. It is a condition in which the body literally depends on Oxycontin to perform a vital function. Psychological dependence is slightly different. This is a condition in which the mind has been convinced that continued Oxycontin use is necessary in order to cope. The person who is psychologically dependent on Oxycontin cannot see a way to manage life without it. This is why addicts often experience feelings of helplessness and hopelessness during Oxycontin withdrawal. Their minds are convinced they cannot get by without the drug. Oxycontin tolerance does not always equal dependence. If tolerance is recognised and addressed early enough, dependence can be averted. It is when tolerance is ignored that the problem of Oxycontin abuse begins. This is why it’s so important to see a doctor right away if you think you’ve developed tolerance to Oxycontin. Numerous substitutes for Oxycontin exist and are prescribed based on what a doctor is trying to accomplish. At the top of the list are several new derivatives of Oxycontin that make the drug harder to abuse. One example is a newer drug known as Xtempza ER. This drug is a reformulation of its predecessor that is nearly impossible to grind up, eliminating the ability to abuse it by mixing it with water and injecting the solution. In an addiction treatment setting, doctors can use other opiates or opioids as a substitute for Oxycontin. Although doing so is not always the best strategy, sometimes it is necessary to stabilise a patient before beginning the withdrawal process. Alternative opioids include morphine, methadone, codeine, and Vicodin. There are cases in which it is practical to prescribe a mild antidepressant for pain relief. When antidepressants are combined with NSAIDs, significant pain relief can be achieved. Examples of antidepressants that might be used include amitriptyline and duloxetine. Finally, doctors are now looking at drugs known as adjuvant analgesics to act as Oxycontin substitutes. This class of drugs has shown promise in treating neuropathic pain in combination with limited opioid use. Examples include pregabalin, orphenadrine, and nefopam. Please do not assume that Oxycontin addiction is no big deal simply because the drug is prescribed by doctors. The truth is that any drug addiction presents certain dangers that need to be reckoned with. They start with the dangers to one’s physical health. Because of the way Oxycontin affects the brain, both short- and long-term damage is very possible. To begin with, Oxycontin addiction can slow both heart rate and respiration to dangerously low levels. If the drug is injected, the risk of infection is very real. Septicaemia, which is a potentially fatal blood infection, can be caused by dirty needles or contaminated drugs. Oxycontin addiction can be destructive psychologically as well. A person who abuses the drug for a prolonged period is at risk of permanent brain damage due to persistently low respiration. Oxycontin addicts are at a greater risk of reduced cognition and developing certain mental disorders that linger. Oxycontin addiction is dangerous to a person’s social well-being. 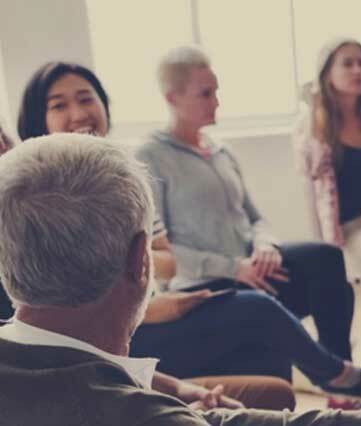 Addiction damages family relationships, sometimes irreparably, and severely strains friendships, work relationships, and the person’s ability to engage in social situations. Oxycontin addiction is even dangerous to the financial health. An addict may prove so unreliable that he or she cannot hold a job. Meanwhile, the addict must still fuel his or her addiction. That costs money. So what does an addict without a job do? Some of them turn to crime. Many of them lose their homes and most of their possessions as a result. The dangers of Oxycontin addiction are very real. If you are abusing the drug, is the risk worth it for the little amount of reward you are receiving? Only you can decide that. Overdose is always a risk for people who abuse Oxycontin. By its very definition, abuse constitutes using the drug outside of the boundaries of a legitimate prescription written by a doctor who has first examined the patient. A person willing to abuse Oxycontin is more susceptible to overdose if he or she does not understand how powerful the drug is. You can overdose on Oxycontin simply by taking too much in too short a time. But there is another way to overdose: mixing Oxycontin with other drugs offering sedative effects. You could mix Oxycontin with alcohol, for example. The point is that you do not necessarily need an excessive volume of Oxycontin to create an overdose situation. The other side of the overdose coin is that it is rare when patients use Oxycontin as directed by their doctors. Stay within the boundaries of your Oxycontin prescription and you are not likely to overdose. That means not mixing the drug with other substances. Continue reading to learn more about Oxycontin and other drugs. Hopefully, you understand that overdosing on Oxycontin presents a certain level of risk. As with any drug, overdosing on Oxycontin can be fatal if not addressed quickly enough. When it is not fatal, there are still risks of permanent damage. This is one of the main reasons so many people recommend that Oxycontin users make a point of not using the drug in any way other than what a doctor has recommended. 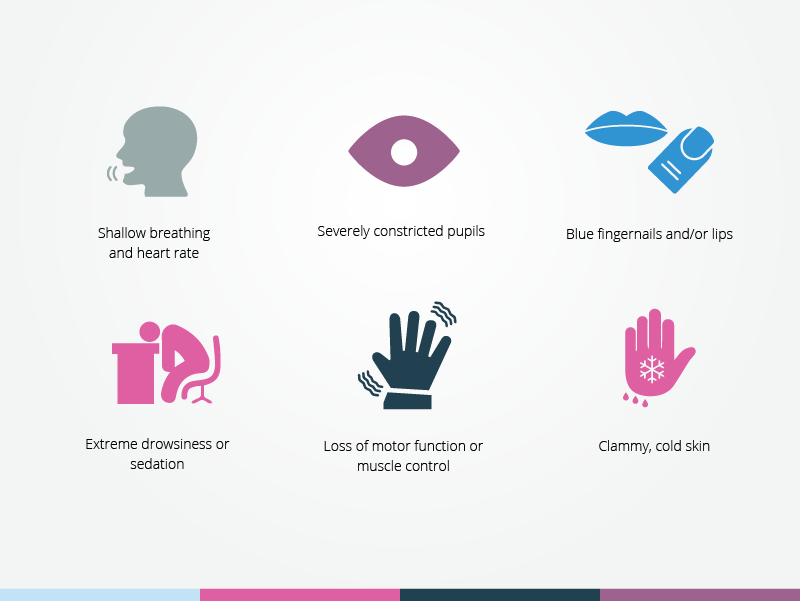 At the top of the list of possible symptoms of an overdose is the very real risk of hypoxia. This condition occurs when the oxygen level in the blood is not enough to properly sustain brain function. In essence, hypoxia starves the brain of oxygen. This can result in either short- or long-term brain damage. It is entirely possible to lapse into a hypoxia-induced coma and never come out of it. Another serious risk of Oxycontin overdose is a heart attack. The drug can reduce the heart rate to such a degree that cardiac arrest is the only option. And as you already know, a heart attack can be fatal rather quickly. Less serious risks include accidental injuries, potentially injurious seizures, and erratic behaviour that could result in harm to others. If someone you know ever begins exhibiting the warning signs of Oxycontin overdose, consider the warning signs sufficient cause to seek medical help. Immediate medical attention can reverse the effects of Oxycontin overdose fairly effectively. But time is of the essence. Waiting too long to seek medical help can result in permanent damage or even death. Outside of an overdose scenario, medical care should still be sought to overcome an Oxycontin abuse problem. When do you seek medical care? As soon as you realise there may be a problem. Whether it’s you or someone else abusing Oxycontin, the warning signs of abuse are also warnings that medical care should be sought out as soon as possible. As mentioned previously, Oxycontin is a brand name for the generic drug oxycodone. There are dozens of oxycodone brands on the market. Some are pure oxycodone, others are reformulations, and still, others are combination products that include both oxycodone and a non-addictive analgesic. Oxycontin used to be known as ‘hillbilly heroin’ in the States due to its status as a less expensive option to heroin. That name has largely been forgotten at this point. However, you now know what it is if you hear the term being used on the street. Lastly, there is a small number of street names relating to Oxycontin dosage. They are 20s, 40s, and 80s. Each of the street names can be used individually or in combination with the other street names listed above. It is also possible to find these dosage names in relation to other opioids. It is not possible to name a single cause or risk factor that leads to the majority of Oxycontin abuse. There are too many things in play. Having said that, research has afforded us the ability to look for certain similarities among people who abuse opioids. This gives us some insight into causes and risk factors. In some people, the brain's response to Oxycontin is such that the pleasurable feelings it produces are much more intense than would otherwise be experienced. These intense feelings motivate the person to use Oxycontin again, and then again, and so forth. In simple terms, the brains of some people respond with greater pleasure to Oxycontin. Studies have shown that there may be a genetic predisposition toward addiction in some people. This does not necessarily mean a person with this genetic predisposition is guaranteed to become an addict. And among those who do, Oxycontin may not be the drug of choice. There's also some indication that people with a family history of drug abuse are at higher risk of abusing Oxycontin. Most importantly, people with first-generation family members (parents or siblings) with a history of abuse are likely to also be abusers. This may be a learned behaviour as opposed to a genetic predisposition. The prevalence of co-occurring disorders involving Oxycontin abuse suggest that there may be people who abuse the drug due to an underlying mental illness. For example, someone suffering from clinical depression may choose to abuse Oxycontin in order to cope. It should be noted that the causes and risk factors often overlap. For example, a family history of drug abuse is both a potential cause and a risk factor simultaneously. There are other risk factors to consider, though. A tendency to use substances recreationally automatically puts a person at risk of abusing Oxycontin. Any use of the drug for recreational purposes is, by definition, abuse. A person who already has a low tolerance for pain is at risk of becoming an Oxycontin abuser if the drug is first prescribed by a doctor for pain management. Oxycontin's ability to produce feelings of euphoria makes it a medication some people use to reduce stress. As such, people unable to deal successfully with high levels of stress are at risk of Oxycontin abuse following a prescription. Medical science continues to investigate both the causes and risk factors associated with Oxycontin abuse. There is still a lot to learn. Are you already abusing the drug? If not, do any of the above causes or risk factors apply to you? If so, be very careful about using Oxycontin even under a doctor’s advice. Again, there is not a lot of UK-specific data about Oxycontin abuse. But we can look at statistics from the States as well as UK opioid statistics to get a better picture of what we are dealing with. Mean age of first opioid treatment – 34.8. The data makes it clear that opioids are a genuine threat in the UK even though we do not use nearly the volume consumed in the US. The fact that there are more than 330,000 people classified as high-risk opioid users should be alarming. A person who is high risk is someone whose opioid abuse is serious enough to constitute risky behaviour. This includes both abusers and addicts. Opiate and Oxycontin abuse are linked to co-occurring disorders to some degree. A co-occurring disorder is a mental disorder that is diagnosed alongside drug abuse. In the case of Oxycontin and other opioids, the two most common co-occurring disorders or depression and anxiety. Doctors must treat co-occurring disorders very delicately. The goal is to not make one worse by treating the other. It is a balancing act that requires a special body of knowledge and plenty of experience. Unfortunately, not every addiction rehab clinic is capable of effectively treating co-occurring disorders. It is also difficult to know if co-occurring disorders are complementary, or if one directly caused the other. Determining either case is one of the most difficult challenges of treating a patient suffering from co-occurring disorders. As a side note, such treatments are sometimes referred to as ‘dual diagnosis’ treatments. It is never a good idea to mix Oxycontin with other substances. 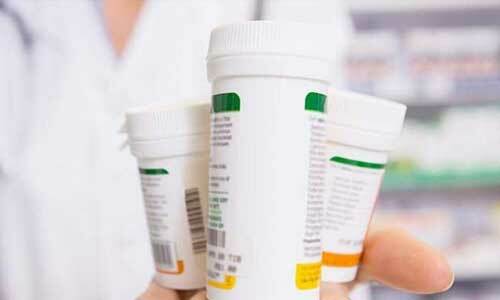 If you are taking the drug after receiving a prescription from your doctor, be sure to heed your doctor’s advice about alcohol and any over-the-counter medications you might be taking. Mixing Oxycontin with other substances is extremely dangerous. The mechanism behind Oxycontin has a sedating effect on the central nervous system. That’s why users feel relaxed and pain-free. Those sedating effects are enhanced if a person drinks alcohol with Oxycontin already in the system. With that said, you should NEVER mix Oxycontin and alcohol together. Some people do it to improve the effects of both, but this could prove fatal. Oxycontin should also never be mixed with other opioids. Doing so only increases the risks. Oxycontin should not be combined with heroin, benzodiazepines, strong antidepressants, or any other medication that enhances its ability to sedate. Users who insist on ignoring such warnings are putting their lives at risk. Now that you know more about Oxycontin abuse and addiction, know this: treatment is possible. It is not necessary to continue abusing Oxycontin if you have a genuine desire to stop. Even if you are dependent and addicted, proven medical treatments can help you get well. A typical Oxycontin treatment includes detox and rehabilitative therapies. We can discuss the particulars with you when you call. Just know that is extremely difficult to beat an Oxycontin addiction without medical treatment. Detox is the first step to overcoming an Oxycontin addiction. It is best to undergo detox under the supervision of medical professionals due to the risks involved. In the UK, detox in a residential clinic is both medically supervised and assisted. Trained doctors and nurses work directly with patients to lead them through the detox process safely and as comfortable as possible. Withdrawal is a normal result of Oxycontin dependence. If you begin showing signs of withdrawal in between doses, those withdrawal symptoms are indicative of addiction. Please pay attention to them. Should you decide to go through a medically-assisted detox programme, you will experience most of the withdrawal symptoms the drug creates. Rest assured that clinic staff will help you manage withdrawal through the use of prescription medications, counselling, and other means. We strongly recommend anyone addicted to Oxycontin to go into rehab programme following detox. While it is theoretically possible to beat addiction via detox alone, successful cases are rare indeed. Most addicts require a combination of detox and rehabilitative therapies to fully overcome addiction. Accessing both detox and rehab through the same facility is the best way to go. This offers a seamless transition from one treatment to the next, making the entire experience easier and more productive. Misuse of any drug with psychoactive effects can lead to addiction because of how the brain reacts to it. In terms of Oxycontin, it is about how the drug encourages the production of endorphins like dopamine. The person whose brain derives intense pleasure from Oxycontin is a person who is more motivated to continue taking the drug. Over time, the continual cycle of using Oxycontin and enjoying the pleasurable feelings it produces can lead to addiction. Overdose is generally treated in one of two ways. Where applicable, the first method is to reverse the effects of the drug in question. The other method is to introduce something like activated charcoal to prevent the body from absorbing any more of the drug. In addition, other prescription medications may be utilised to stabilise an overdosing patient. Finally, prescription medications and OTC drugs may be used to counteract overdose side effects as the primary drug begins to wear off. How can I spot Oxycontin addiction? A person using Oxycontin may begin displaying certain warning signs that indicate addiction. Some of those warning signs include unusual defensiveness, secretive behaviour, doctor shopping, and attempting to buy Oxycontin on the dark web. Your best bet is to research the signs of addiction and learn them. Once you know what to look for, it is easier to spot an addiction problem. What is the goal of Oxycontin addiction treatment? The primary goal of addiction treatment is to eventually reach a place where the former addict is drug-free. It is not to provide a permanent substitute for addiction simply by giving the addict another drug to take. As such, rehab clinics utilise a combination of treatments that get to the core physical and psychological aspects of addiction. Addressing them both offers the greatest chances of successfully reaching the overall goal of treatment. How bad is Oxycontin addiction? An addiction to any psychoactive substance can be devastating. Oxycontin certainly fits the bill. Oxycontin addiction leads to physical harm, psychological harm, and potential damage to relationships, finances, and nearly every other aspect of a person's life. An untreated addiction can eventually lead to the addict's untimely death. 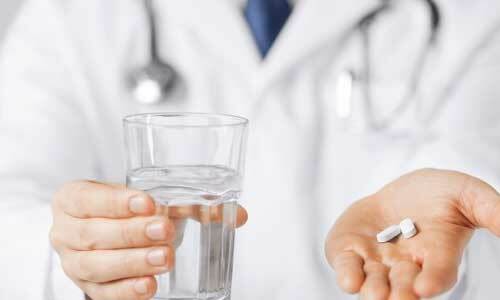 How can Oxycontin addiction be cured? We often say that the only real cure for addiction is abstinence. As such, an Oxycontin addict can only be cured when he or she makes the choice to never take the drug again. Some people can make the choice once and permanently stick with it. Others have to make the choice multiple times before they eventually stop using. Overcoming an Oxycontin addiction is a very individual thing. That's why treatments in the modern era are individualised. How can I help someone who is addicted to Oxycontin? The first thing to know is that you cannot force an Oxycontin addict to get well. It is not even advisable to attempt to force that person into treatment. Rather, it's best to offer as much support as you possibly can without enabling the addiction. Be a shoulder to cry on and a listening ear. Do some research on available treatment options, then encourage the addict to consider getting help. 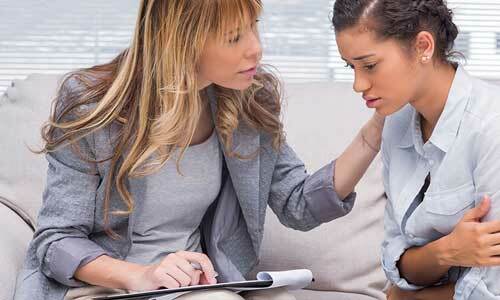 Finally, you can speak with a counsellor willing to help you conduct an intervention.